Soluble as monomer in glacial acetic acid or as trimer in benzene. 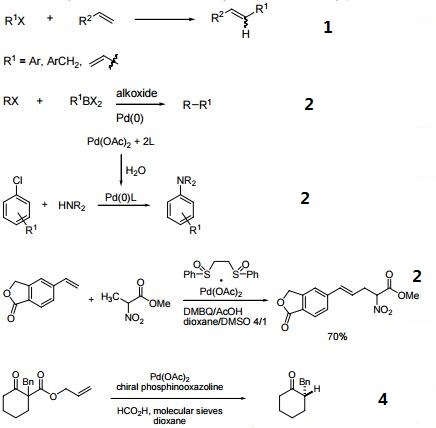 Efficient catalyst for the arylation of olefins (Heck reaction). Precatalyst for enantioselective decarboxylative protonation of allyl β-ketoesters. Palladium (II) Acetate Trimer is used in Suzuki-Miyaura cross-coupling reactions. It also serves to catalyze the chemoselective reduction of nitroarenes. A catalyst for intramolecular coupling. 3375-31-3 US $100.00 / kg 100g 99.8% 20tons Hebei Jimi Trading Co., Ltd.